Whether you’re a first-time home buyer or looking to downsize, condo living often equates to minimizing clutter and maximizing each and every space in your home. Here are some tips and tricks to help you get the most out of your condo kitchen. 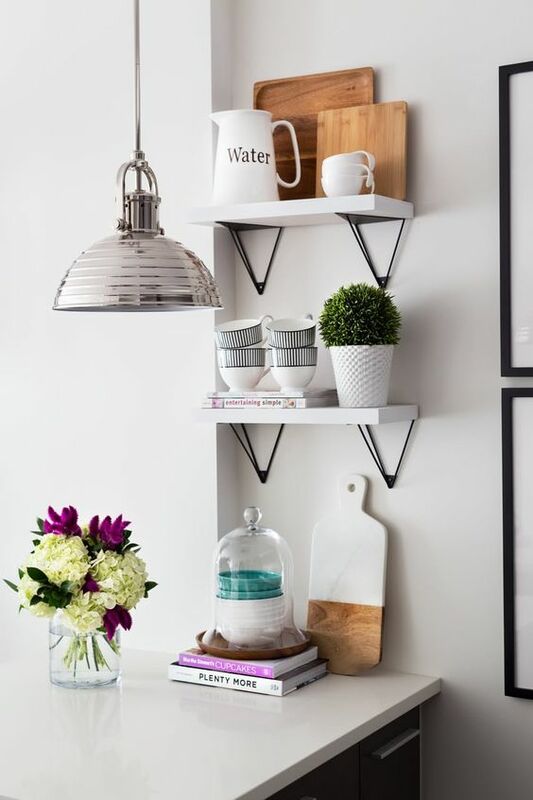 Floating shelves are an amazing space saver, as well as a great way to add a touch of detail. They take up no extra floor space and are perfect for storing anything from mugs to cook books. To increase their visual appeal, you can also add a plant or picture frame, seamlessly turning your storage feature into a beautiful design feature. Maximizing your space is about truly utilizing every inch of your kitchen to its full potential. A commonly overlooked area that can provide a respectable amount of storage is the inside of your cabinet doors. 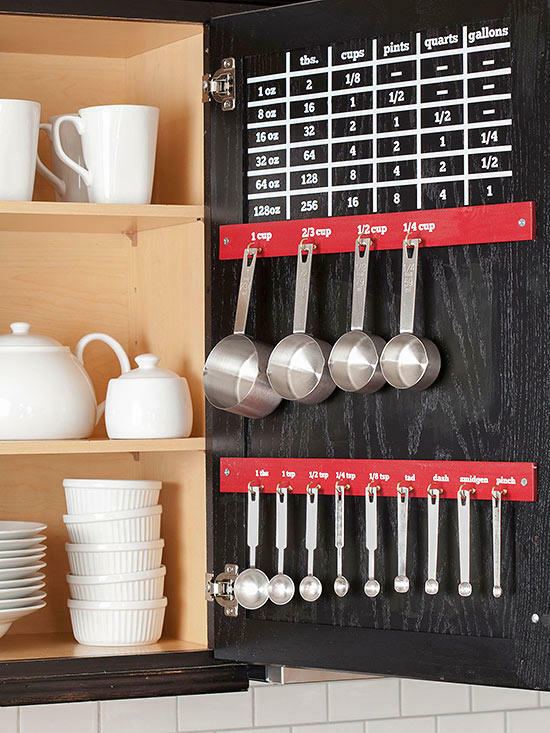 This is the perfect spot for hanging measuring spoons, hot pads or cutting boards. A hanging rack simultaneously provides storage and convenience as it utilizes vertical space to store your pots and pans and takes up no extra room in your kitchen drawers. 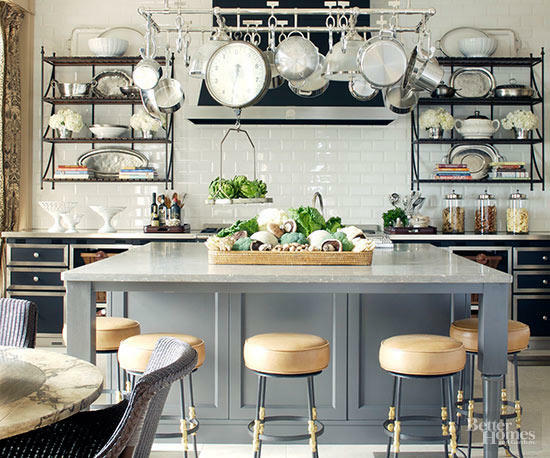 This will also help you locate your pots and pans directly over your kitchen workspace. Having your cooking utensils so easily accessible while you’re whipping up a meal will make cooking a breeze. Magnetic strips are a very simple way to organize your kitchen contents while also maximizing empty wall space. 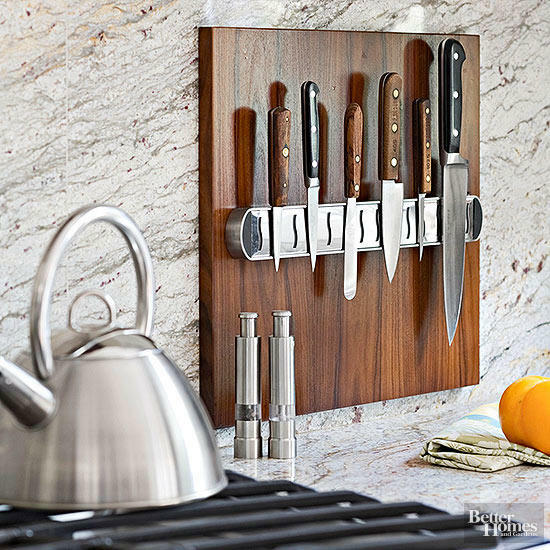 By simply placing a magnetic strip on your backsplash or underneath your cupboards, you are able to easily hang and organize things such as knives and spices. Ornate serving dishes and intricately painted platters are beautiful; however, they are scarcely used and often end up pushed to the back of your kitchen cabinet. 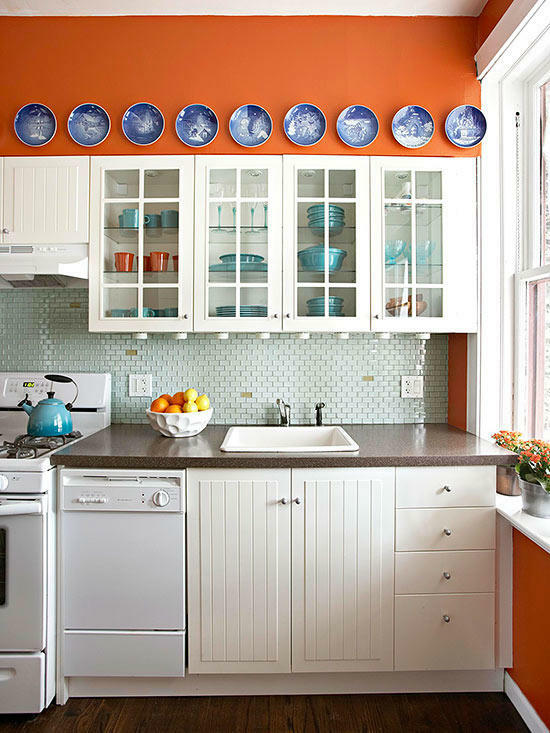 Removing these dishes and platters from your cabinets and displaying them on the wall can free up ample cabinet room, where you can store more commonly used items. 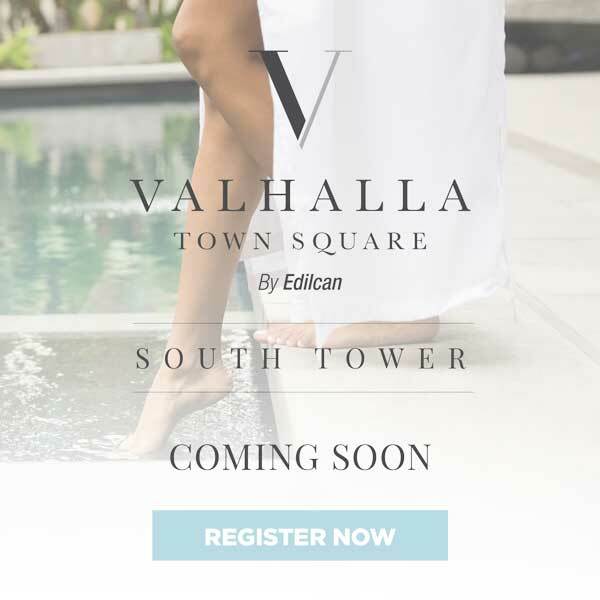 Learn more about how you can amp up your suite at Valhalla Town Square by following us on Facebook, Instagram and Twitter.